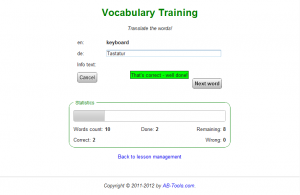 As I’ve announced in my blog post of last week, I will go on with the most important part of a vocabulary trainer this time: the vocabulary training itself. 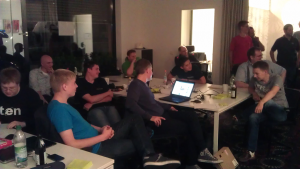 Last week there was a funny event by Microsoft here in Munich (Germany): a Windows 8 Hackathon for App Development. This was a very good opportunity to ask some questions to competent Microsoft developers and get forward with this app project. After the user clicked on a lesson a word for translation together with the mentioned info text is shown. 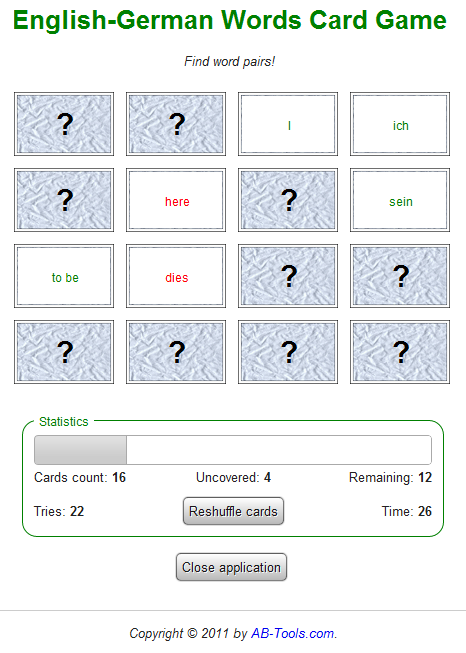 Now the added words can be trained, but while working on that I got already several ideas for enhancements: e. g. it would be possible to let the user choose in which direction the translation should be trained. 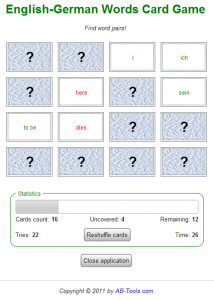 Also adding a words card game, similar to the one in the old vocabulary trainer version, would probably be a nice feature. So there is enough left to do, but first there are still other interface things that needs to be added or improved. 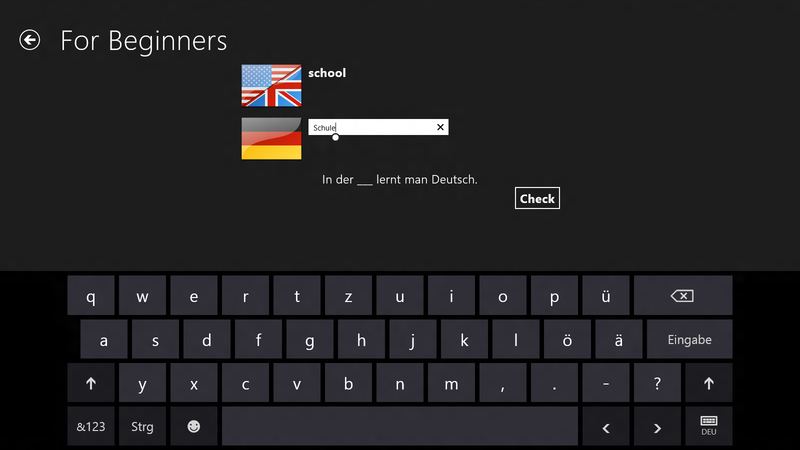 I got some good ideas also from the Microsoft guys last weeks. Next week I’ll be at the IDF in San Francisco. So stay tuned for my next post in two weeks again on Monday! 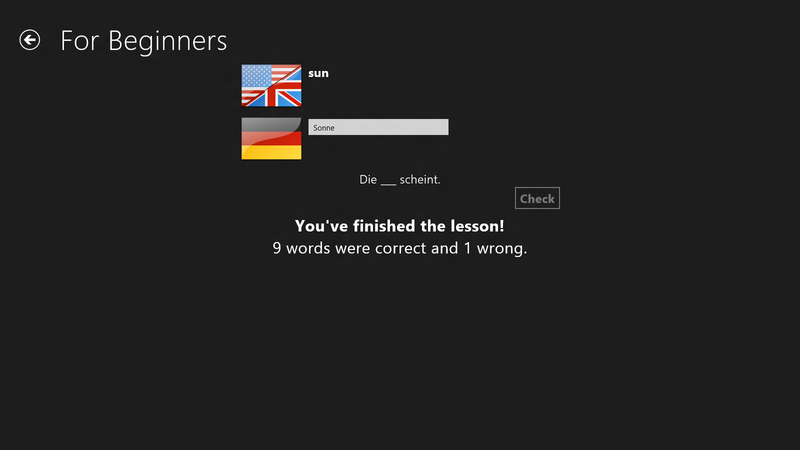 Last night Microsoft organized a Windows 8 hackathon here in Munich (Germany). That was the kind of events that really is for developers only - at the latest when you see the time of this event: it started at 6 pm and ended at 4 am. 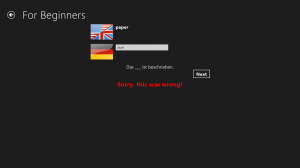 But it was fun to be there and doing some development for my first metro-style app for Windows 8 in HTML5, especially as there were some competent Microsoft developers available for questions. 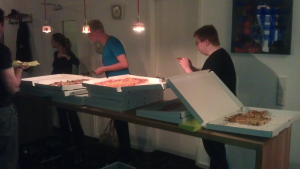 … and there was also enough to eat. Have you been to a development hackathon before, too? After explaining what I’m going to do in my post of last week, let’s go on with some “real” work on the product this time. 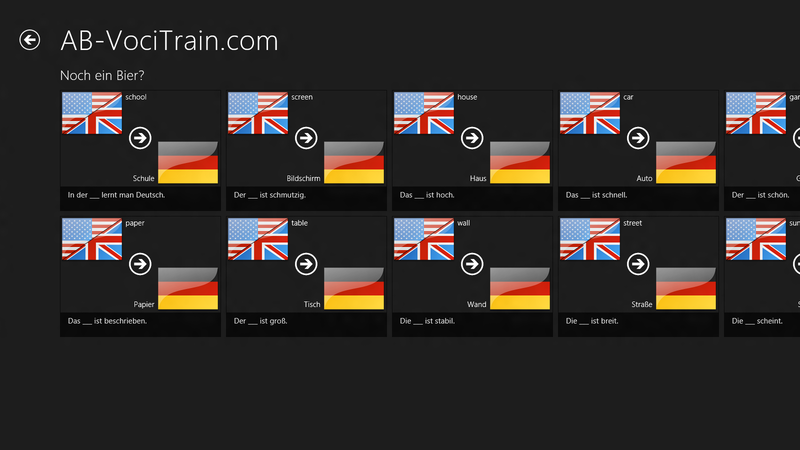 The porting of this vocabulary trainer will be my first Metro style app. 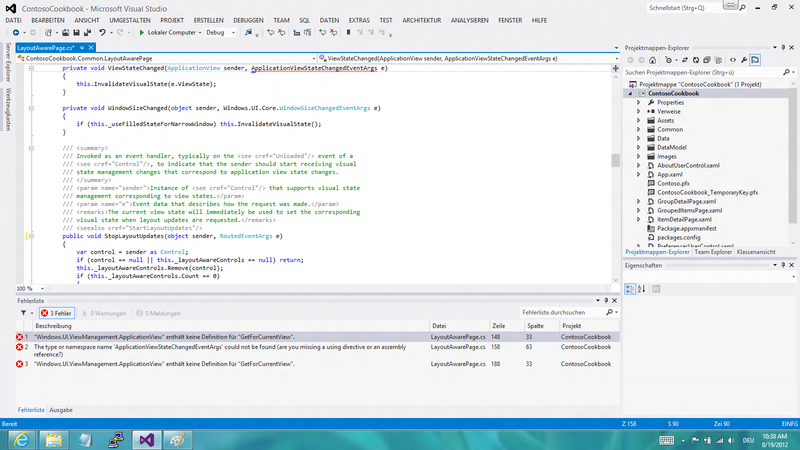 Therefore I need to get used to developing for Metro first. After a short search in the internet I found a new version of the Metro demo apps. 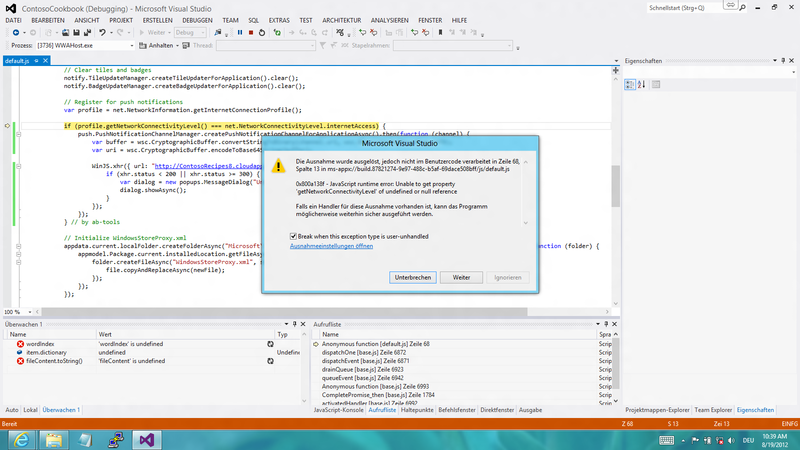 I extracted the files and executed the app with the Visual Studio debugger – but: again an exception, at least a different one! After a quick look on what they wanted to do at this code location, I realized what the problem was: they wanted to register the app for push notifications and this was currently not possible, because I was sitting in a nice, sunny garden that was obviously a little bit too far away from my Wi-Fi connection in the office. I’m not sure if that’s the user experience Microsoft wants to achieve: crash if there is currently no internet connection. There is much work left, but I think I’m on a good way. So stay tuned for more in my next post on the following Monday and thanks for reading! It’s great to be a participant of the Ultimate Coder Challenge! We’re six developers competing to code an app for the next generation Ultrabooks running Windows 8. The winner gets $10,000! I’m a software consultant and developer from Munich (Germany) and author of the end-user products at AB-Tools.com. 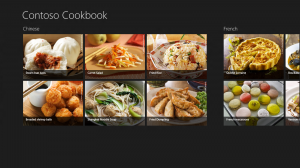 Many of my end-user apps were also published in the Intel AppUp store and I gave speeches about AppUp on several developer events like the European Software Conference, MunichJS and MobileMonday. 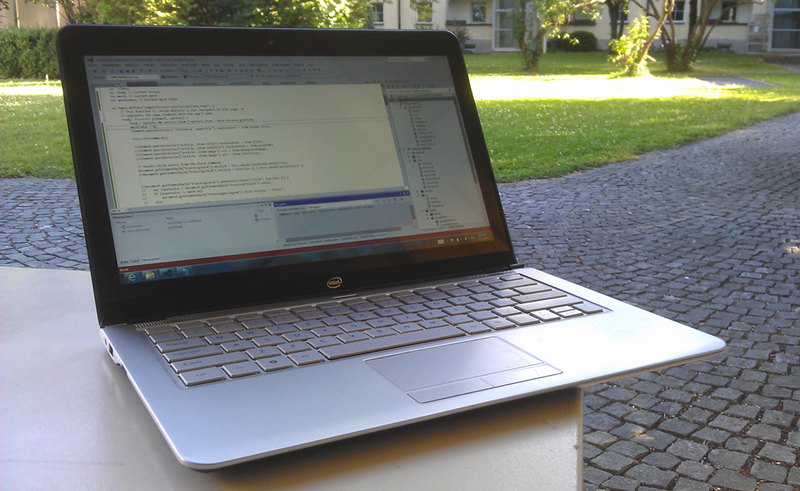 Intel kindly provided us developers with a pre-production Ivy Bridge Ultrabook – thanks for that! – to test our newly created app with all the features of the next generation Ultrabooks. As Intel wrote the specs of this device on their blog post already, I won’t repeat them here. Of course, I already tested the Ultrabook extensively: it’s a great device, just my USB 3.0 hard drive currently does not work correctly with it, but that’s a known issue and hopefully this will be fixed with a driver update in the future – anyway, it’s a pre-production device and therefore such small issues are OK. The only real drawback of this device is the glossy display that makes it very hard to work outside on a sunny day in Munich just as today: I don’t understand why Intel provides devices with glossy displays to developers. When a developer looks on a monitor he wants to see some code and not himself in a mirror. So, what I’m going to build now? 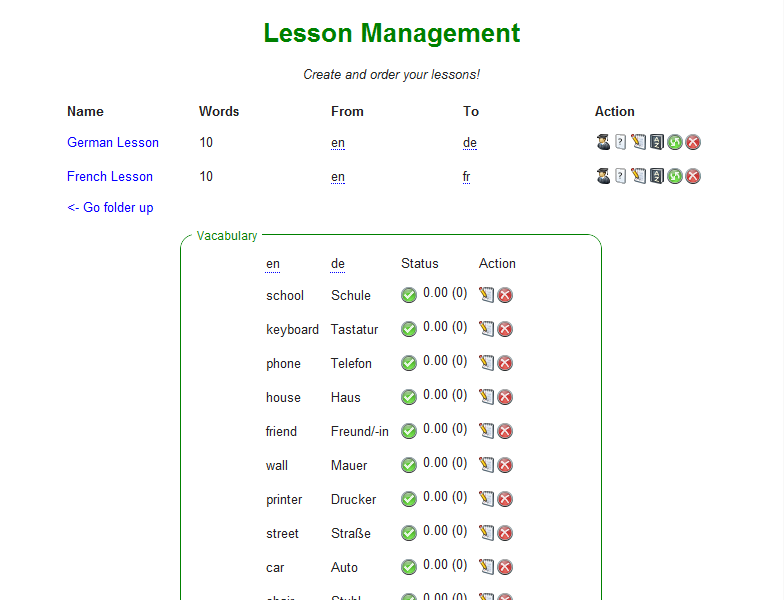 Above you can see the lesson management: here you can add new lessons, organize them in folders and add words to the dictionary. 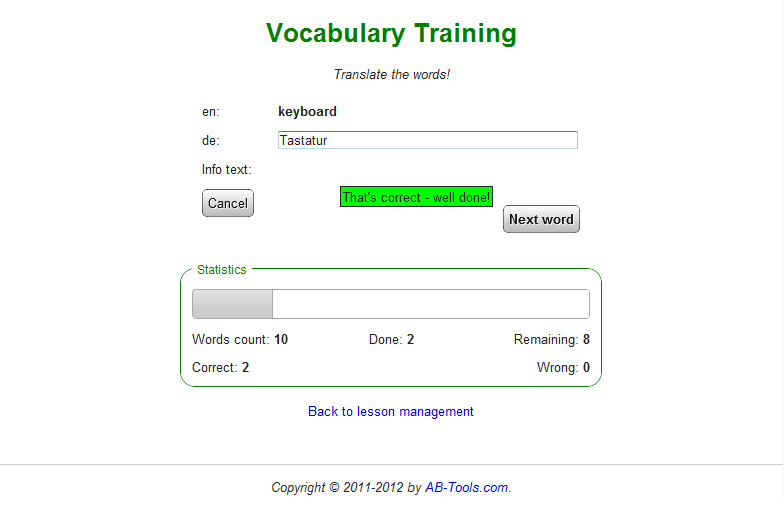 Needless to say that you don’t want to use this vocabulary trainer without a mouse. 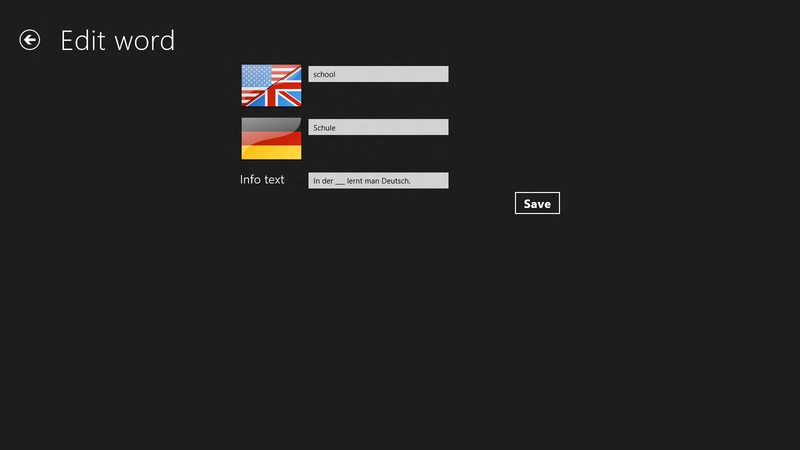 Therefore I will convert this HTML5 app in a touch-enabled metro-style Windows 8 app during this Ultimate Coder Challenge. I’m very excited about the progress of this contest and I’ll keep you updated on each Monday on my blog. Today there was an Intel Ultrabook MeetUp in Munich (Germany) at a nice location, Café Keksdose. This time, it was not a long way to go for me. 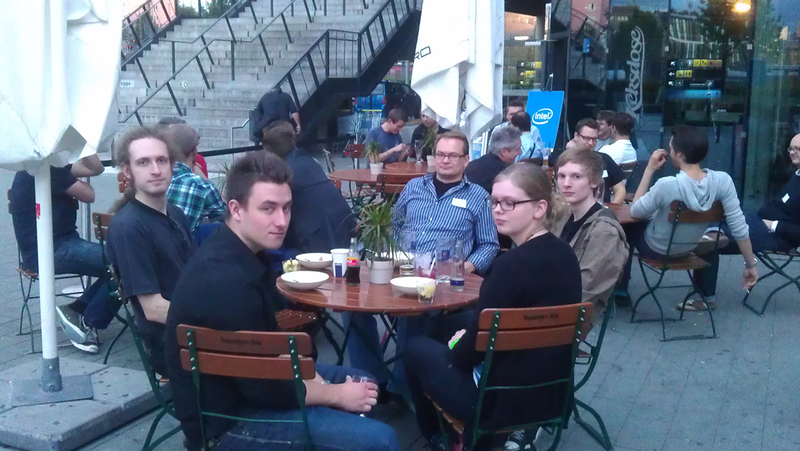 Beside eating tasty snacks it was great to meet developers from all over the country. But we were also able to marvel at the latest Intel Ultrabooks and play around with them. Did you also attend to this event? Since I wrote the post about using the Multisite Language Switcher I got many questions asking how I “disabled” the main site “/” in my WordPress Multisite configuration. The answer is simple: I did not disable it, but just created an own, small redirect theme to make sure every user accessing the main site “/” is redirected to the correct language URL – in my case either “/en/” or “/de/”. The following source code isn’t completely from me. I remember that I just searched the web for a good solution and changed it as I needed it, but that’s a longer time ago. Therefore no idea where parts or this code are from originally. 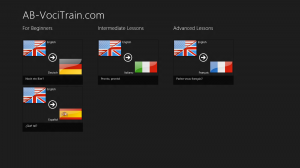 * @param array $allowed_languages An array of languages that are available on the site. * @param string $default_language Default language to use if none could be detected. * @param string $lang_variable Custom user language support. If not specified $_SERVER['HTTP_ACCEPT_LANGUAGE'] is used. * @param string $strict_mode If true (default) the whole language code ("en-us") is used and not only the left part ("en"). * @return string The detected browser language. // Is there a quality set? So just create a new theme folder and copy the PHP code above (change the allowed languages if needed, of course) into a file named index.php. 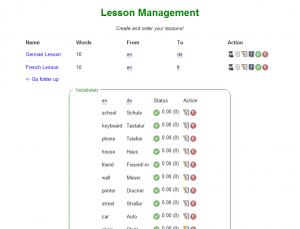 That’s it: after you have seleted this new theme for your main site “/”, every user will automatically be redirected to the correct language version based on the browser language settings. 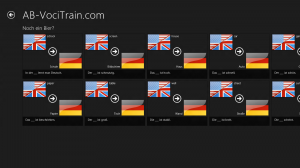 Do you use the Multisite Language Switcher or your blog, too? I was invited to be a trainer on the Spartakiade Conference (German) in Berlin (Germany) on June 16, 2012. If you want to sell a product as an developer every new distribution channel is welcome. One of them is the app store AppUp operated by Intel that is already pre-installed on many newly sold notebooks (e. g. Dixon’s Retail). 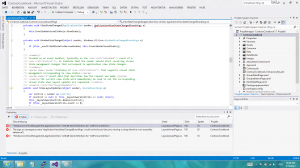 In this session Andreas Breitschopp will show how an existing HTML5 or .NET app is prepared for AppUp. 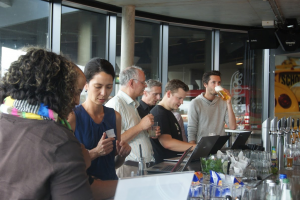 The participants are welcome to bring their own products. These will then be prepared for AppUp together. Of course, there will be also other interesting topics at the conference and the attendance is free. Therefore I’m looking forward to see you there! Today I attended a Windows 8 App Excellence Lab in the Microsoft office in Unterschleißheim near Munich (Germany). 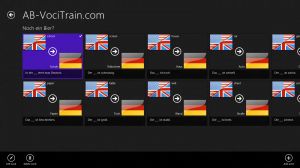 It was very interesting to talk with a Microsoft developer about the requirements that needs to be met for a Metro style app in the Windows 8 app store. There are very high standards especially regarding the look & feel of the application. 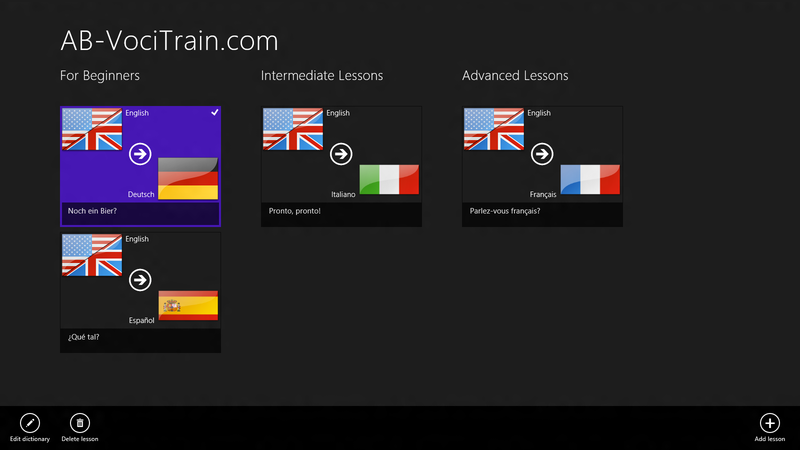 At the moment I especially want to get a HTML5-based vocabulary trainer ready for Windows 8. As a result of this App Excellence Lab I got a token that I can use to register at the Windows 8 app store before the official start. Additionally registration is free with this token for two years. Did you attend to a Windows 8 App Excellence Lab, too?